The Gini coefficient remains a popular gauge of inequality throughout the social and natural sciences because it is visually striking and geometrically intuitive. It measures the “gap” between a hypothetically equal distribution of income or wealth and the actual distribution. 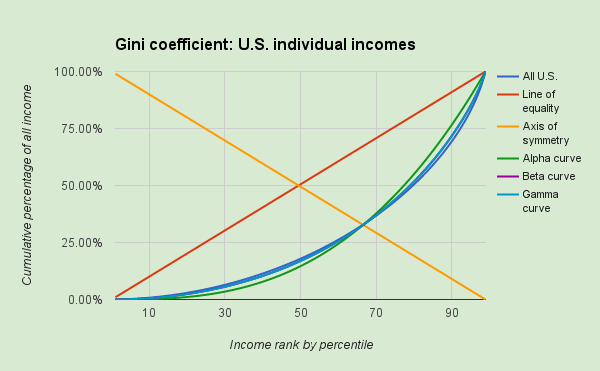 But not all inequality curves yielding the same Gini coefficient are unequal in the same way. The Lorenz asymmetry coefficient, a second-order measure of asymmetry, provides further information about the distribution of income or wealth. 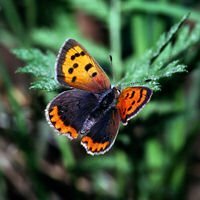 To add even more interpretive power, this paper proposes a new angular measure derived from the Lorenz asymmetry coefficient. Adjusted azimuthal asymmetry is the angular distance of the Lorenz asymmetry coefficient from the axis of symmetry, divided by the maximum angular distance that can be attained for any given Gini coefficient.